serotonin reuptake inhibitors (SSRIs) most frequently, followed by serotonin norepinephrine reuptake inhibitors (SNRIs), and rarely benzodiazepines. In other words, we could eventually have one third of our children drugged with antidepressants for anxiety alone if all parents wanted to continuously screen their children for an anxiety disorder and get an “appropriate” prescription. The obvious question is why is the prevalence of anxiety disorders so high? First of all, anxiety is an emotion we all occasionally experience. Infants and toddlers are commonly apprehensive of strangers, young children are commonly fearful of new situations and any adult negativity, and adolescents are anxious about rejection from friends or crushes, the test they did not adequately study for, as well as any and all issues that threaten their self-images and so on (Beesdo et al., 2009). 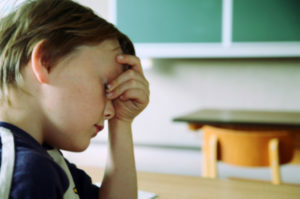 Every child will exhibit anxiety towards certain things or will behave anxiously for periods of time, and this is normal, especially if there are new stressors in the child’s environment, such as starting a new school, conflicts at home, bullying, having a fight with a best friend, or a dreaded math test coming up. Frequently, what might occur is a teacher will notice a child has been acting anxious for a couple of weeks, the teacher will tell the parent the child has anxiety, the parent will go to doctor and tell her the teacher thought the child was showing signs of anxiety, and then the doctor will write a prescription for an anxiety disorder. This would explain the research that indicates only 20% of adolescents with a current anxiety disorder diagnosis will even retain the diagnosis (Wittchen et al., 2000). Of course, the child most likely does not have an “anxiety disorder;” and moreover, medicating the child does nothing to actually address the developmental issues or neurological disorganization or the environmental/social/academic stressors that are the source of the anxiety in the first place. For some children, anxiety issues are the reflection of neurological disorganization. In such cases, the level of neurological organization is such that the child has not yet established a strong delineation between the two hemispheres of the brain. When there is such delineation, a dominant hemisphere is established, which assists in logical and analytical thought and helps keep emotional activity of the subdominant hemisphere in check. If a dominant hemisphere is not firmly established, then the child often functions subdominant or emotionally, such as anxiously, rather than with reason. A further aspect of neurodevelopment affecting anxiety is poor auditory working memory. If working memory is weak, the child does not have the capacity to think through and resolve issues, and therefore, tends to ruminate over issues again and again, each time heightening their level of anxiety. Selective serotonin reuptake inhibitors given to children and adolescents with anxiety include fluoxetine, sertaline, and citalopram; and common side effects include abdominal pain, nausea, headaches, and drowsiness (Birmaher et al., 2003). Furthermore, the US Food and Drug Administration issued a black box warning on SSRIs that describes the risk of suicidal ideation for patients 25 years of age or younger (Emslie et al., 2006). Fluvoxamine, paroxetine, and escitalopram may even be less safe versions of SSRIs used to treat anxiety (Siegel & Dickstein, 2012). The serotonin-norepinephrine reuptake inhibitor known as venlafaxine is also prescribed to youth with anxiety. Side effects include asthenia (bodily weakness), pain (e.g., headache, abdominal pain), fatigue, and even anorexia (Rynn et al., 2007). Finally, benzodiazepines are sometimes prescribed, despite research that shows they are no more effective than a placebo in reducing anxiety symptoms (Simeon et al., 1992). Moreover, there is a high risk for patients to develop an addiction to benzodiazepines, and pediatric patients are especially vulnerable to disinhibition and aggression caused by benzodiazepines (Mancini et al., 2005). On the other hand, non-drug intervention has the most evidence as effective treatment for anxiety, has the most long-lasting effects, and does not have any of the side effects associated with drugs (Siegel & Dickstein, 2012). In conclusion, it is normal for all children and adolescents to experience some level of anxiety for periods of time; and in fact, lack of anxiety may be cause for even greater concern for some. Be cautious in having your child labeled with an anxiety disorder due to anxious behavior for only a short time period. If your child does appear to be experiencing persistent and uncontrollable anxious behavior, carefully investigate any relationship or academic issues, or possible social causes, such as bullying, negative teachers, aides, therapists, and so on. Also explore neurodevelopmental issues, such as neurological disorganization or weak working memory. Whenever possible, look for and treat the cause of the anxiety and do not resort to prescription drugs until other avenues have been exhausted. Beesdo, K., et al. (2009). Common and distinct amygdala function perturbations in depressed vs anxious adolescents. Arch Gen Psychiatry, 66, 275-285. Birmaher, B., et al. (2003). Fluoxetine for the treatment of childhood anxiety disorders. J Am Acad Child Adolesc Psychiatry, 42, 415-423. Emslie, G., et al. (2006). Treatment for Adolescents with Depression Study (TADS): safety results. J Am Acad Child Adolesc Psychiatry, 45, 1440-1455. Merikangas, K.R., et al. (2010). 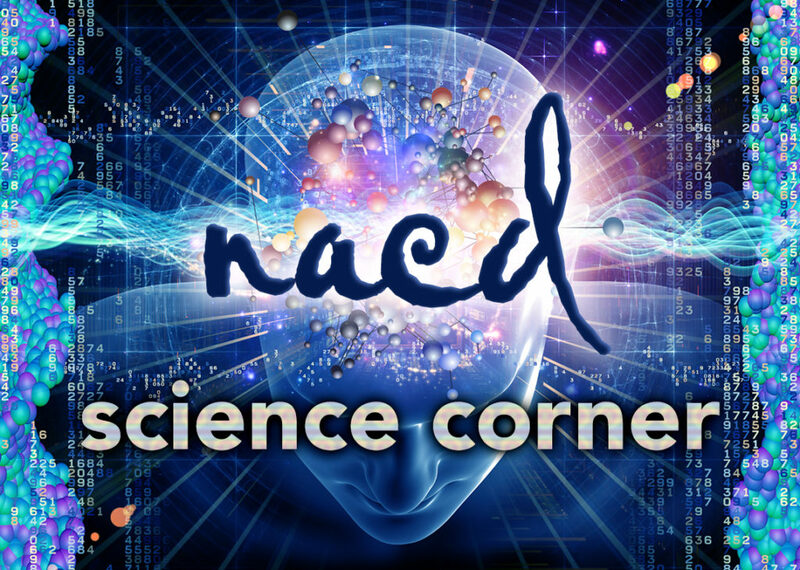 Lifetime prevalence of mental disorders in US adolescents: results from the National Comorbidity Survey Replication – Adolescent Supplement (NCS-A). J Am Acad Child Adolesc Psychiatry, 49, 980-989. Rynn, M.A., et al. (2007). Efficacy and safety of extended-release venlafaxine in the treatment of generalized anxiety disorder in children and adolescents: two placebo-controlled trials. Am J Psychiatry, 164, 290-300. Siegel, R.S., & Dickstein, D.P. (2012). Anxiety in adolescents: Update on its diagnosis and treatment for primary care providers. Adolescent Health, Medicine and Thereapeutics, 3, 1- 16. Simeon, J.G., et al. (1992) Clinical, cognitive, and neurophysiological effects of alprazolam in children and adolescents with overanxious and avoidant disorders. J Am Acad Child Adolesc Psychiatry, 31, 29-33. Wittchen, H.U., et al. (2000). The waxing and waning of mental disorders: evaluating the stability of syndromes of mental disorders in the population. Compr Psychiatry, 41, 122-132.